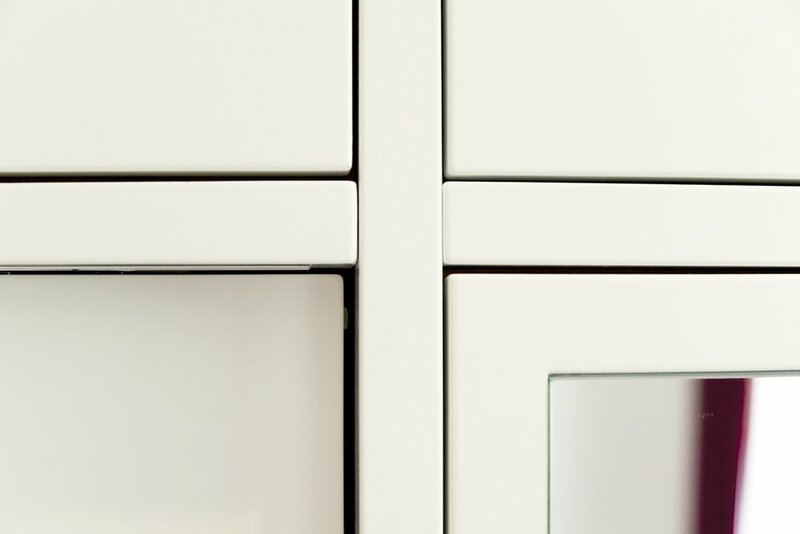 These wall to wall cabinets are finished on the outside in a white spray lacquer giving them an understated, minimal look. 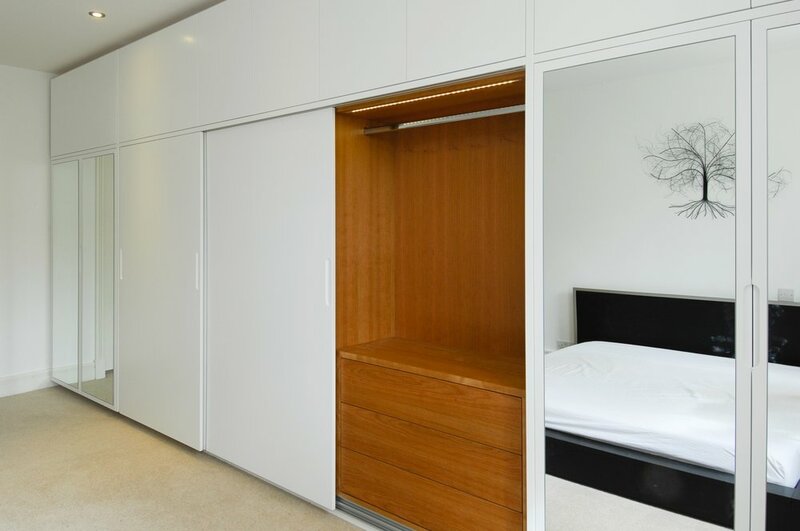 When the large sliding doors are opened the wonderfully warm American cherry veneered interiors are revealed like the silk lining on a grey suit. 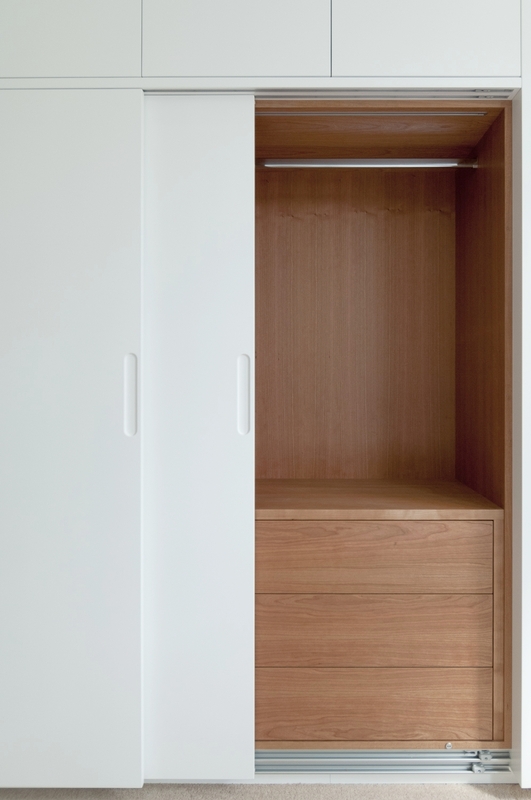 The wardrobes feature integrated automatically switched LED lighting and push to open drawers.